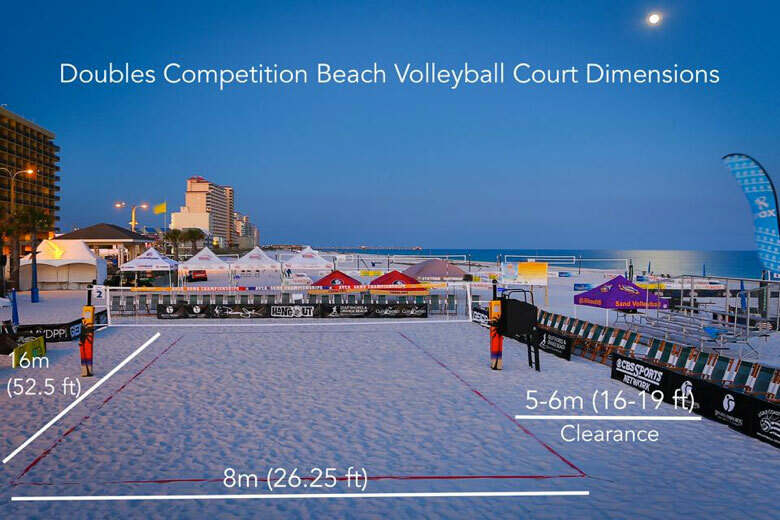 The required beach volleyball court dimensions for USA Volleyball and NCAA doubles competition is 16m by 8m (52’6” by 26’3”). 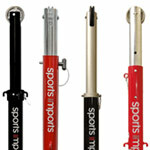 Posts should be placed 1m (3’-4”) from each side line, 10m (30’-7”) from each other(not shown). Adjacent courts built side by side are recommended to have a free space of 5-6m (16’-20’) and may share free space. If adjacent courts are situated end line to end line, 9m(29’-6”) of free space is recommended. For FIVB World and Official competitions, the free zone is a minimum of 5m (16’) and a maximum of 6m (20’) from the end lines/side lines. The free playing space shall measure a minimum of 12.5m (41’) in height from the playing surface. 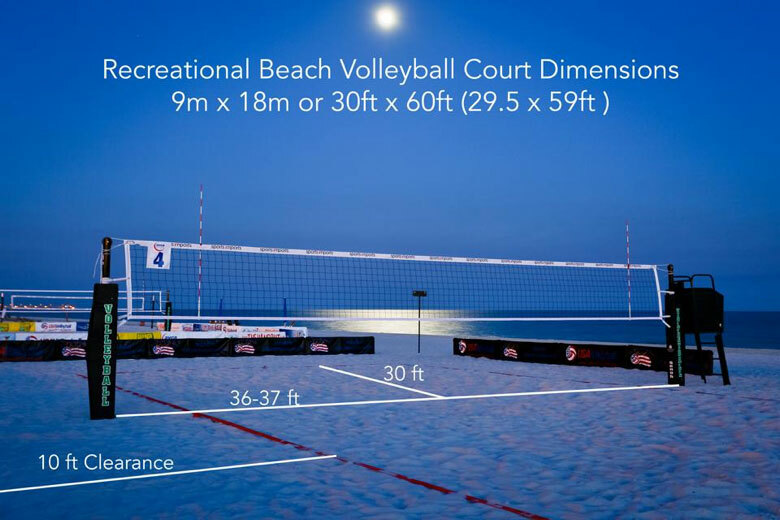 The recommended beach volleyball court dimensions for Recreational play is 60’ by 30’. This allows for four on four or six on six play. Posts should be placed 1m (3’-4”) from each side line, 36’-8” from each other. A recommended free or clearance zone of at least 10 ft is recommended. 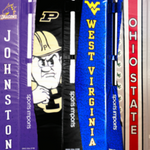 For the most versatile facility, it is recommended to install poles 36’-8” from each other to allow for both competition and recreational play. 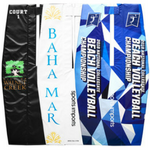 It is recommended that the depth of sand is 18 inches on the court and 12 inches in the free zone. Your Sports Imports Regional Representative will be happy to help you lay out your courts to meet your needs and court dimension requirements.